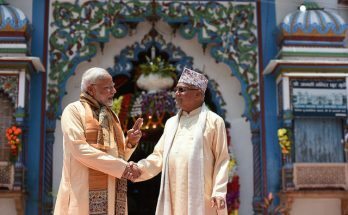 Blending diplomatic outreach with spiritual bonding, Prime Minister Narendra Modi began his two-day visit to Nepal with prayers at the Janakpuri temple located in the birthplace of Sita, revered by millions of Hindus. 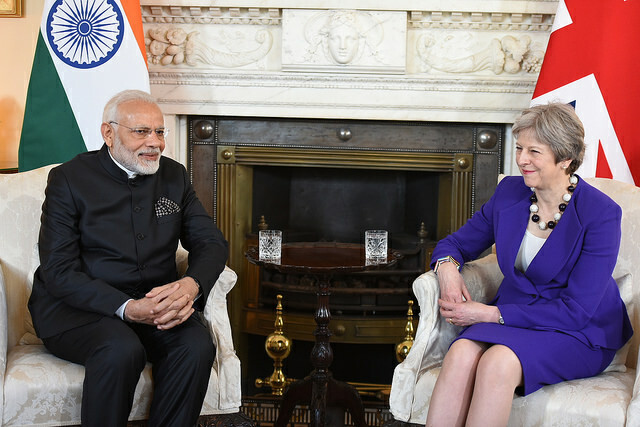 : In an oblique critique of China’s Belt and Road Initiative, India and the UK have pitched for “a secure, free, open, inclusive and prosperous Indo-Pacific region.”India’s Prime Minister Narendra Modi held wide-ranging talks with his British counterpart Theresa May in London on Aoril 18, which culminated in a roadmap for advancing India-UK relation across the spectrum.Beside bilateral issues, a host of geopolitical issues also figured prominently in the discussion. Without naming China, the joint statement underlined the shared commitment of India and the UK for a rules-based international system.“A secure, free, open, inclusive and prosperous Indo-Pacific is in the interests of India, the UK and the international community,” it said. “France wants India as its first strategic partner in Asia, and it wants to be India’s first strategic partner in Europe, and even the western world,” said French President Macron as the two countries inked 14 crucial agreements in New Delhi, signalling a “big leap” in the bilateral relations. Macron’s was an unambiguous gesture reflecting the deepening of strategic ties between the two countries. 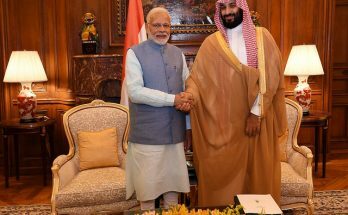 The comprehensive nature of the agreements covering defence, economic, nuclear energy and energy security, among others, was an indication of growing convergence between the two countries in the times of dispersed and diverse security threats with global balance of power under transition. Though India and France have maintained cordial relations since the cold war times, the potential of their strategic partnership appeared to have remained largely underutilised. 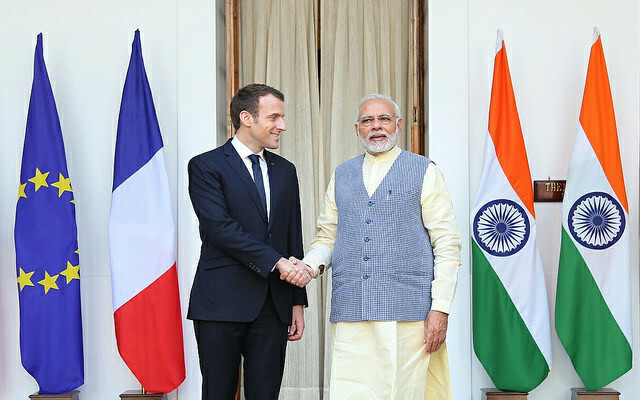 The recent visit by the French President to New Delhi may well be considered as a major breakthrough in strategic ties between the two countries as they are responding to their convergence of interests like never before. Hugs, personal bonding and effusive sentiments about India-Israel relations marked the first few hours of Israel’s Prime Minister Benjamin Netanyahu’s maiden trip to India.In a special gesture, India’s Prime Minister Narendra Modi went beyond official protocol to personally receive Israeli Prime Minister Benjamin Netanyahu at the Delhi airport. 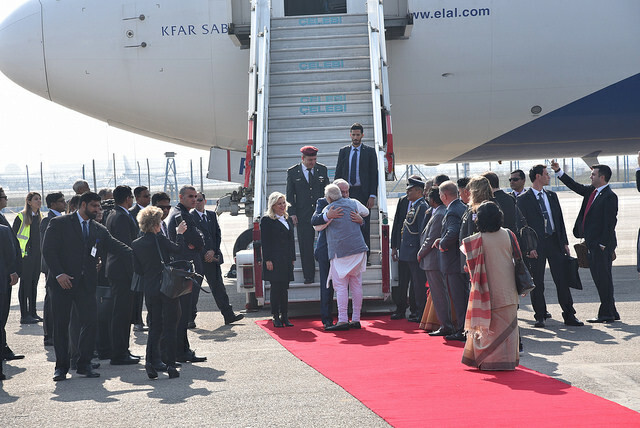 Mr Modi’s trademark hug and warm expression of friendship set the tone for six-day visit of the Israeli leader to India. Mr Netanyahu is leading a delegation of 130 businessmen from 102 Israeli companies and expects to take relations between the two nations together with the Indian leader to “new heights”. “Indian Prime Minister (Narendra) Modi is a close friend of Israel and of mine and I appreciate the fact that he will accompany me on extensive parts of my visit,” Prime Minister Netanyahu said just before leaving for New Delhi.After the arrival the leaders headed for a ceremony to rename Teen Murti Chowk in central Delhi as Teen Murti-Haifa Chowk, in memory of the Hyderabad, Jodhpur and Mysore Lancers who carried out a brave assault to liberate the Israeli port city of Haifa during the First World War. 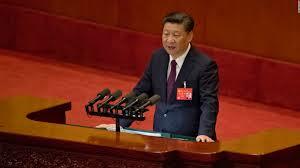 As China entered the Xi era with the consecration of President Xi Jinping among the pantheon of Chinese greats like Mao Zedong and Deng Xiaoping, there has been a flood of messages from world leaders congratulating Mr. Xi on his elevation as one of the most powerful leaders of his country. Indian Prime Minister Narendra Modi choose to send a message through his Weibo account (a Chinese social network à laTwitter)saying: “Congratulations to President Xi on getting re-elected as CPC General Secretary. 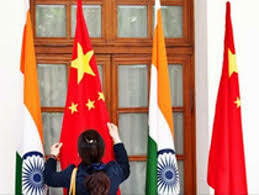 Look forward to further promote India-China ties together.” India-China relations had come under a cloud following the 72-day long stand-off at Doklam, but the two leaders had put that behind them when they met at the BRICS summit in the Chinese city of Xiamen in September. Kindling the India growth story anew on a wet and rainy day in the Japanese capital, Prime Minister Narendra Modi underlined the centrality of India-Japan relations in Asia’s emergence and pitched for more enhanced investments from Asia’s second largest economy. 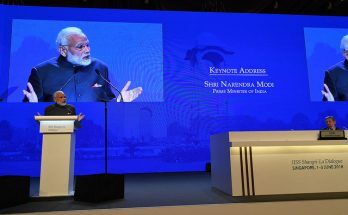 The conference hall at Keidanren, the seat of Japan’s all-powerful corporate body, was buzzing with energy and enthusiasm as Mr Modi addressed a galaxy of top Japanese leaders and highlighted a set of steps taken by his government which have made India the world’s most attractive investment destination. “Today, India is on the path of several major transformations. We have taken decisive steps and built a governance system that will help India realize its potential. 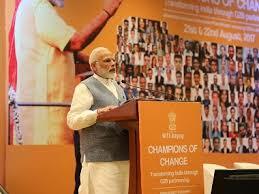 The results are already visible,” Mr Modi said.“Today, India is on the path of several major transformations. We have taken decisive steps and built a governance system that will help India realize its potential. The results are already visible,” Mr Modi said.